Anna teaming up with Mamta? 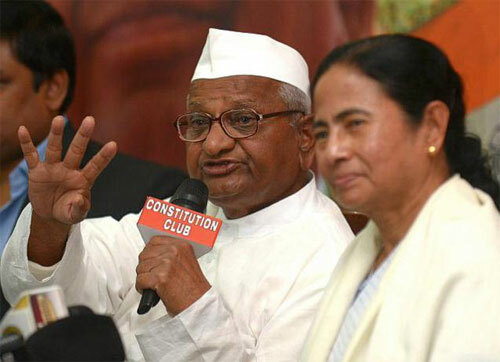 Why on earth is Anna siding with Mamta Banerjee? Someone please explain! This entry was posted on Tuesday, February 25th, 2014 at 10:05 am	and is filed under Uncategorized. You can follow any responses to this entry through the RSS 2.0 feed. Both comments and pings are currently closed.